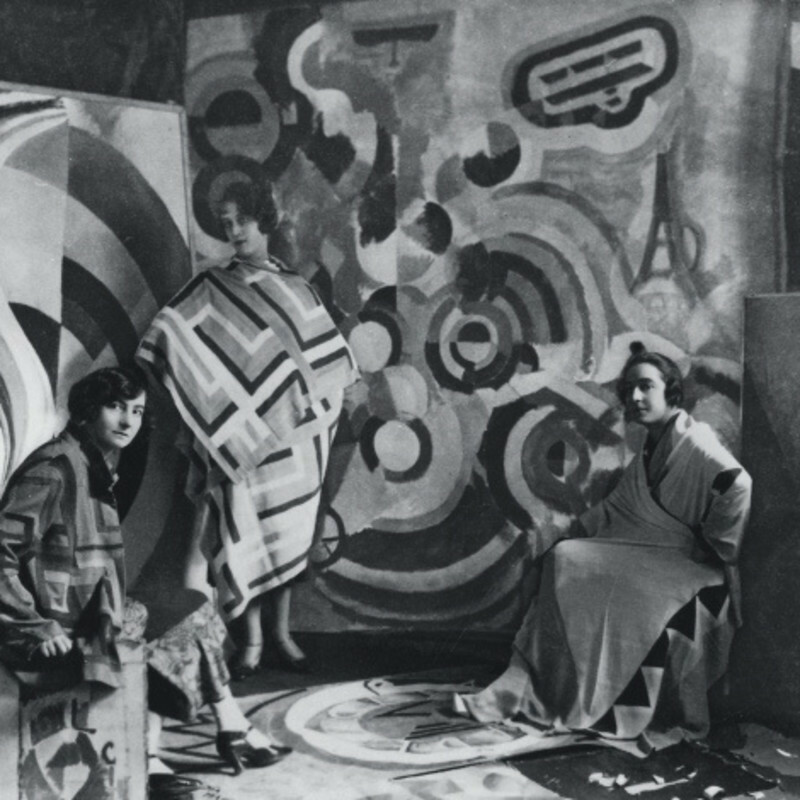 Sonia Delaunay’s innovative explorations of color and form began with a quilt she made for her son in 1911 that would spur a breakthrough in the history of abstraction. She had moved from Moscow to Paris at age 20, where she first encountered Post-Impressionism and Fauvism, inspiring her to push further toward non-objective art. Along with her husband, Robert Delaunay, she developed a bright blend of Cubism and Futurism that would be dubbed Orphism by critic Guillaume Apollinaire in 1910—though Delaunay preferred the term “Simultaneous Contrasts”. In addition to painting, she created textiles as “exercises in color,” under the Maison Delaunay label, even creating costumes for Sergei Diaghilev’s Ballets Russes. In 1964, Delaunay became the first living woman to be given a retrospective at the Louvre.